At the 1980 Monaco Grand Prix, Patrick Depailler qualified 7th and Giacomelli 9th. Derek Daly pushed Giacomelli from the track during the start of the race. Depailler blew his engine while running in 5th position. Patrick Depailler died during testing at Hockenheim later that year. The number 22 car, driven in the Monaco Grand Prix by Patrick Depailler is now available in our shop. You probably wonder where all the sponsors went, but apparently some legislation prohibited scale model manufacturer Spark to put the MARLBORO stickers on the car. Luckily they did not forget to put some stickers in the package, so in order not to rewrite history, you will have to stick them on yourself. 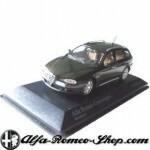 SKU: SPARK1790. Category: Formula One. 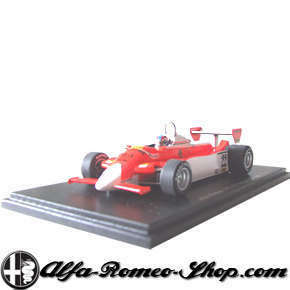 Tags: Alfa 179, F1, Formula One, 1:43, Spark. 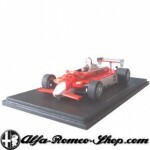 Spark 1:43 model of the Alfa 179 F1, 1980 Monaco GP, driver Patrick Depailler.